When, original culture of Turkey is considered, the first thought category is undoubtedly its cuisine. No doubt, Turkish Coffee has a special place in its refreshments culture developed in accordance with its cuisine which is quite wide and diverse. Let’s review the values and history of Turkish coffee together which is an individual culture with its custom to have it after meals, its spiritual meanings, its way of making and quality. It is estimated that coffee has spread from Abyssinia, present name Ethiopia in 14th century and got its name from Kaffa region in this country. Yemen Governor of the Ottoman Empire, the Mameluke Cirsassian Ozdemir Pasha brought coffee beans which he like very much to Istanbul from this African country very close to the Arabian peninsula then this coffee has been identified as Turkish Coffee due to its way of making. Spread of coffee to Europe was also through the Ottoman Empire. “Coffee Comes from Yemen” saying is based on this background. The coffee which is prepared by adding 2 teaspoons of grained coffee per cup and desired amount of sugar as well as cold water into coffeepot and stirring slowly has different types based on the source of heat used to make it such as on fire, on cinder, in sand and etc. Balanced distribution, low dreg amount and top foam surface indicate the quality of a coffee. In other words, method of preparation is important as much as the coffee beans and grinding method. The best coffee pot is the copper coffee pot. 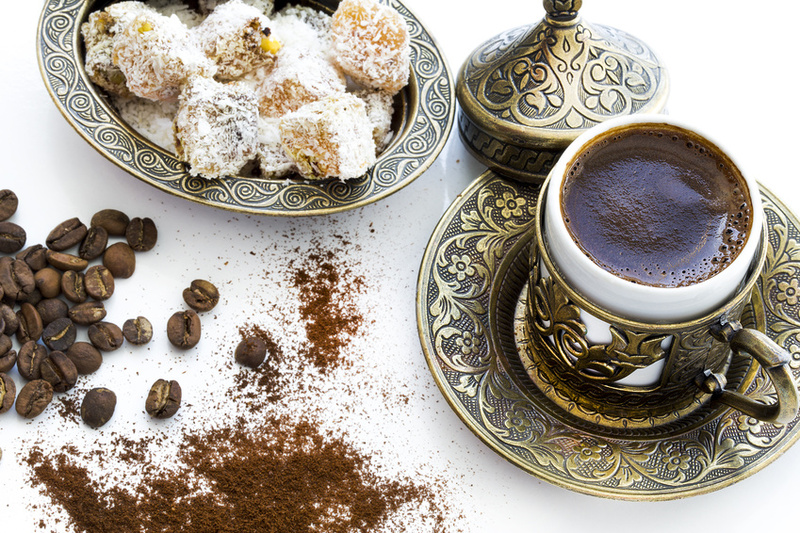 Turkish coffee is the only coffee served with its dregs. It is seen that the word kahvaltı (breakfast) in Turkish is the combination of kahve (coffee) and altı (before) words and you should it something before having the first coffee of your day. Derivation of this word shows us the importance of coffee for Turkish people as well as the custom of having it on a full stomach. Coffee ensures waking up and staying awake due to caffeine it contains as well as it is consumed for pleasure. This is such a custom that almost in all restaurants in Turkey, coffee is served after meal, two friends have a deep conversation while having coffee and there are also sayings referring to the value of coffee in daily lives of people such as “a cup of coffee commits one to forty years of friendship”. When, a family visits another family for asking their daughter in marriage for their son, bride-to-be makes coffee for the guests and there also several meanings in way of serving it. Furthermore, after having a coffee, the coffee cup is covered with its saucer and turned upside down, cooled and fortune is told by looking the images and patterns of dreg; this shows how this culture has become branched. Service and having Turkish coffee with an important place in Turkish culture has a custom and culture. During the Ottoman era, coffee which was firstly spread in the palace and then Anatolia through the palace and merchants was processed as coffee beans. Coffee grinders and stone mortars were used for grinding coffee beans. There were several tools used in Anatolia for grinding roasted coffee beans. Likewise, these processes were considered very important in Istanbul, in the palace and a team of 40 was established for preparing coffee. The coffee made in the palace was served by 4 people. In this team consisting of a chief coffee maker and 3 assistants, the chief was at the forefront holding a brocaded towel, an assistant holding the empty cups and water glass came after him then another assistant holding a jug and another one with an empty tray. Coffee was prepared by them and served by the chief to the Sultan and his guests. 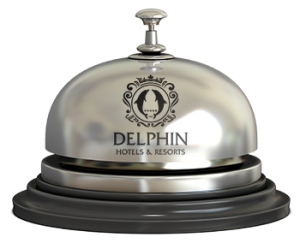 Coffee was prepared without adding any sugar in the palace and served with a glass of water and a Turkish delight. Another Turkish custom, serving Turkish delight as a flavor with coffee comes from here. Water served with coffee is not for drinking with coffee, it is for removing other tastes in mouth and preparing it for coffee. 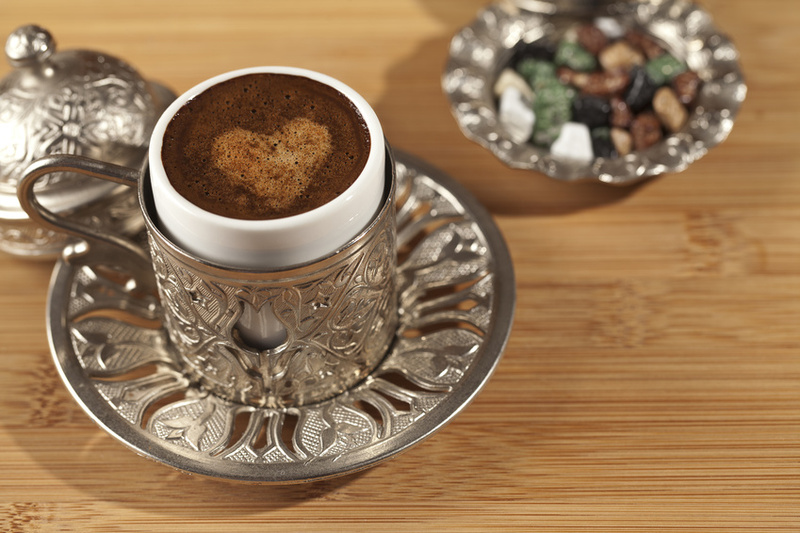 The cup used in Anatolia for coffee was made from wood in the beginning then begun to be made from porcelain. 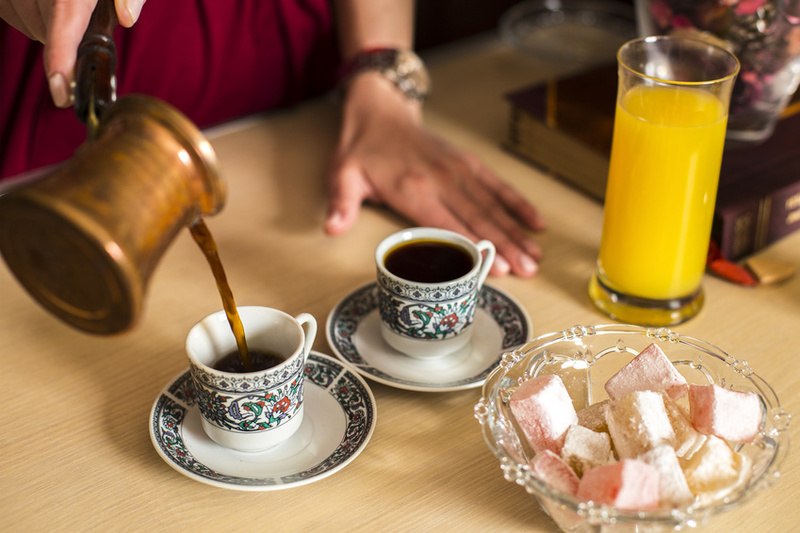 Today, as a result of all these cultural background, there are Turkish coffee sets consisting oa copper shielded porcelain cups, appropriate water glasses and a Turkish delight cup. The coffee which was roasted at first and then ground in Anatolia and the palace was firstly marketed after completing these processes in 1871. In this date, Roasted and Dried Coffee Maker Mehmet Efendi began selling coffee as roasted and dried coffee in his store which is still in service and located at the exit of the Spice Bazaar in Eminonu. After that, production of roasted and dried coffee has continued up to now and consumption has increased accordingly. The father of café culture with a large occupation in the whole world and our country is the Ottoman coffeehouses where Turkish coffee was drunk. There were reading groups and conversations in the coffeehouses which were firstly opened in Tahtakale, Istanbul in 1554. Due to this tradition, coffeehouses are also called as reading houses. Coffeehouses have become another settled and developing culture created through habit of having coffee and a dynamic where games as backgammon, chess and etc. are played and pipe is smoked has been established. In the Ottoman Empire, during 16th and 17th centuries, these places had been subjected to prohibitions for gathering people out of the political authority, they have managed to reach our time and continued their traditions.